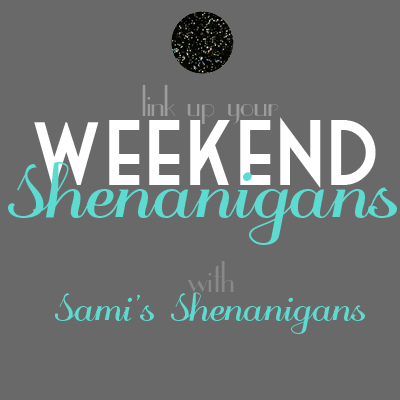 I had a super fun and festive weekend! My good friends Alisa and Keith are getting married (YAY) but unfortunately they are moving/have moved back to the Lone Star State. Alisa moved a couple of months back and now Keith is following her lead. I totally understand because Texas is Heaven on Earth. However, I will miss seeing them regularly. 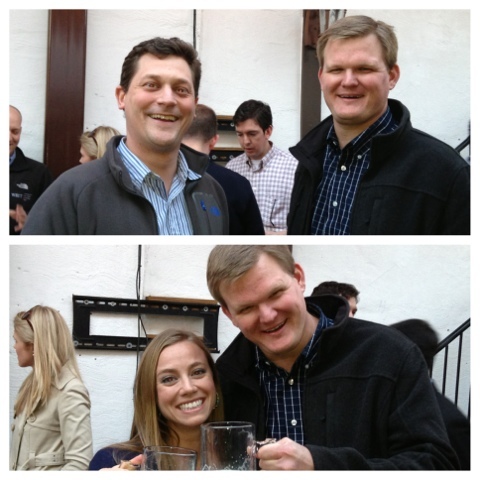 We had a going away Happy Hour for Keith on Friday at one of my favorite bars on H Street, The Biergarten Haus...a German Beer Garden with excellent schnitzel. Spring was definitely in the air and I was so excited to spend the evening outdoors. Alisa was present too which made the weekend even better! Friends with the Man of the Hour! 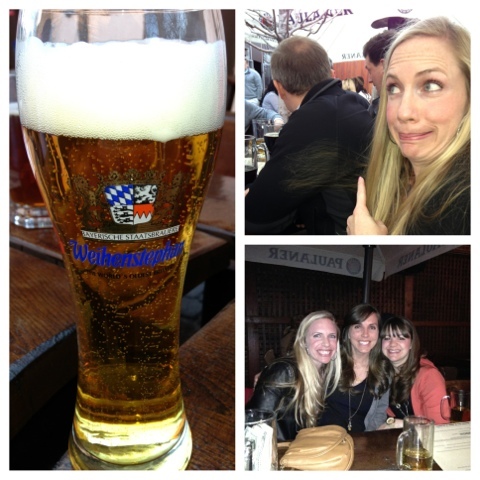 We stayed out very late, and so the next morning I didn't make it to CrossFit! AHHH! Blasphemous! I know. Like I mention A LOT, Saturday WODs are my favorite...so I was pretty sad to miss, but I just knew that my body was not hydrated enough or rested enough to complete the WOD that was scheduled: Murph. I do look forward to doing that WOD someday though. Instead of WODing, I ran some errands and then Josh and I decided to go play putt-putt. It was a BEAUTIFUL day in DC. Sunny and in the 60s and all I wanted to do was be outside. 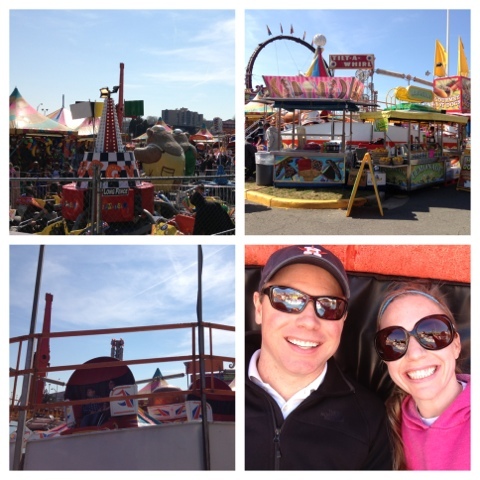 On our way to the putt-putt course we saw a carnival, and decided to go to that instead! I was so excited especially when Josh and I spotted the Tilt-A-Whirl. 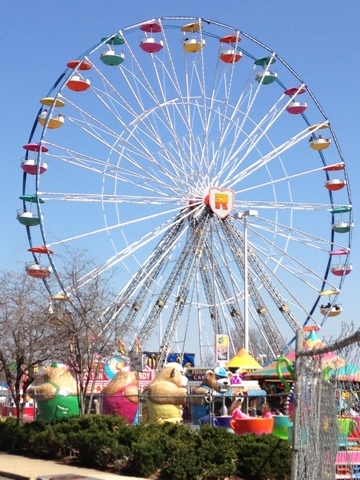 That is my all time favorite carnival ride. Josh bough us tickets and we promptly got in line for the ride. As kid I always wanted the cart that was the twirliest...Josh and I picked our seats and hunkered down for the ride. Josh must have been my lucky charm for this ride because we never stopped spinning. We spun around at lighting pace the ENTIRE time. Towards the end we started yelling "make it stop". Needless to say, after the ride both of our stomachs were not that happy. The Tilt-A-Whirl was more intense than we remembered. We spent the rest of out time at the carnival trying to use our tickets. As a result of being nauseous we didn't want to ride anything too ambitious. 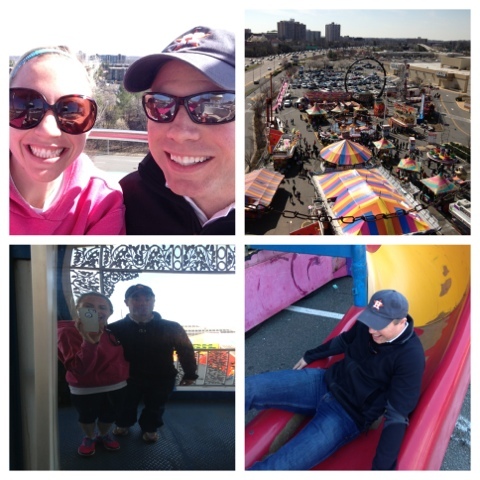 We went on the Ferris Wheel, inside the Fun House, and played a few games. A nap was needed shortly after. The carnival takes a lot more out of you after the age of 12. That night, after our stomachs had recovered, we got ready for Alisa's surprise birthday dinner. 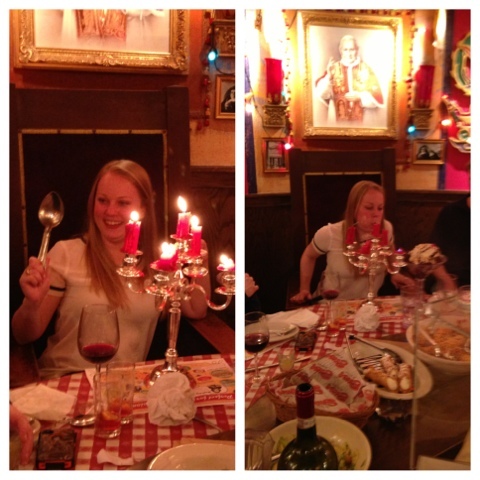 Keith had made a reservation at an Italian restaurant and about 13 of us got there early and surrounded "The Pope's " table. I was convinced that she might think something was up (especially since Josh almost spilled the beans earlier in the day), but she had no clue and was completely shocked! Love it! 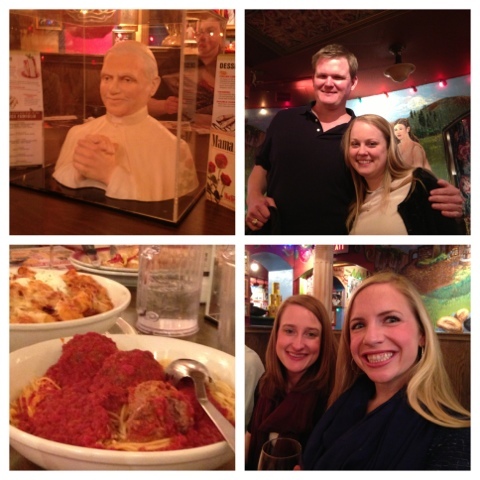 We ate, drank, and stared at The Pope! On Sunday morning, after a quick cup of coffee, I was off to Alisa's Bridal Shower. 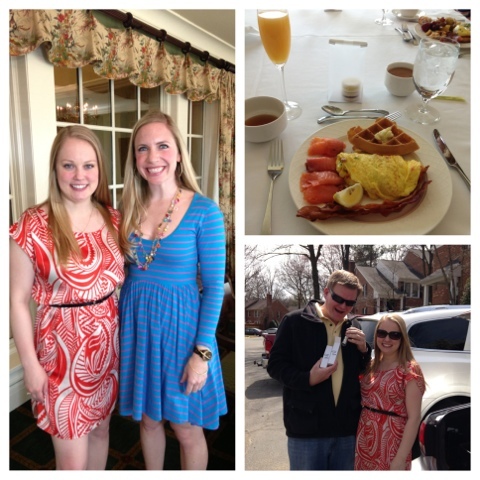 Her best friend hosted a shower for all of Alisa's best DC friends, and it was held at the Army Navy Country Club. The club had just been rebuilt and decorated and it is gorgeous. Aggie Muster is always held there and I know the new club is going to make this year's service extra special. We dined on omelets waffles, smoked salmon and mimosas. Gifts were opened, toasts were given and everyone bestowed well wishes on Alisa. It was a great morning! Me and the Bride, my yummy brunch, Keith super excited about one of the gifts! 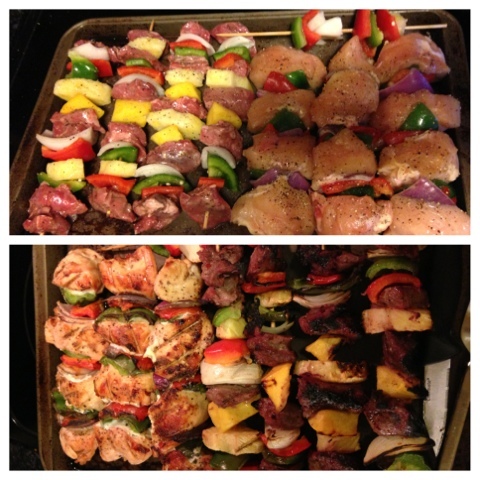 That night Josh and I grilled some kabobs and caught up on our TV shows! The perfect end to the weekend. I have...in 8th grade and I had no clue.